SURF/PIER: Pompano remains the word of the week along the surf. Low light periods of the day remain the best for the pomps, and clams and sand fleas are the baits of choice. Still a few straggler bluefish around. 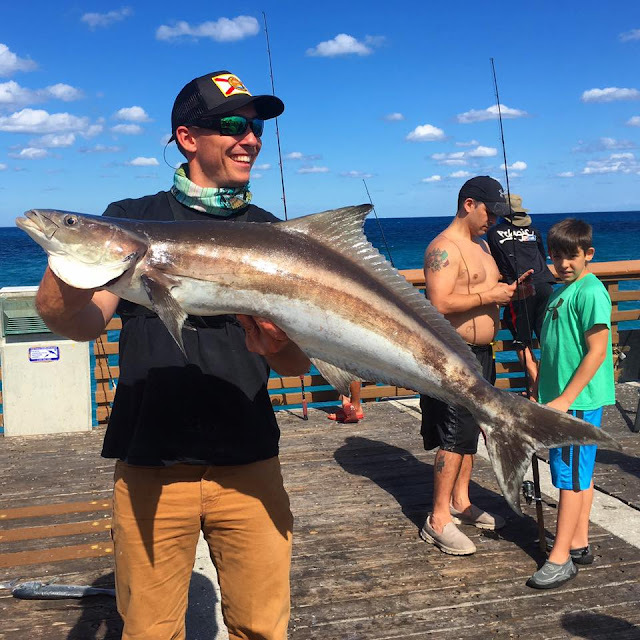 Snook are starting to show along the surf in a little better numbers. Croaker and whiting are biting live shrimp and fresh cut shrimp in the first trough. Scattered jacks along the beach. As well was a few blacktips still hanging around. Also a Nice Cobia came over the railings today. Big Ups to Juno Baits own Ryan Morie..